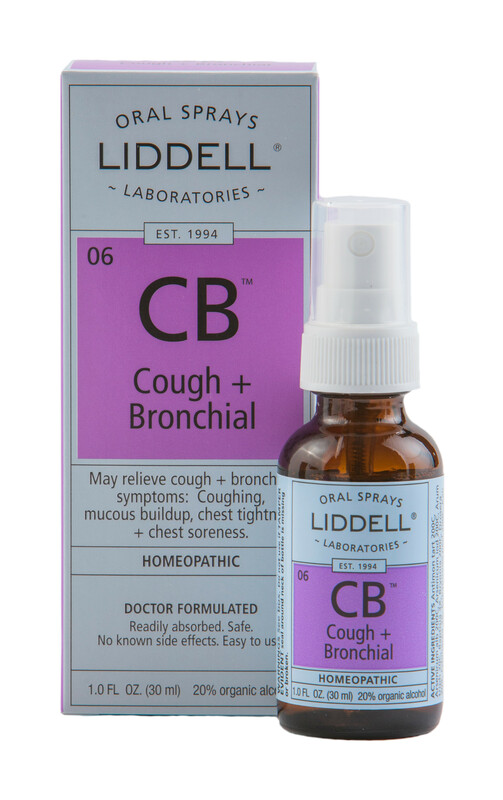 Liddell’s Cough + Bronchial may help make your day a little easier as it may assist your body’s natural defenses to temporarily relieve coughing and mucous buildup. SKU: 363113081961. Category: Pharmacy. Tags: Cough & Bronchial, homeopathic, Liddell. Cough + Bronchial may relieve cough and bronchial symptoms such as: Coughing, mucous buildup, chest tightness and chest soreness. Adults & Children over 12: Spray twice under the tongue three times per day. For severe symptoms, dosage may be administered up to six times the first day. Do not use if you have ever had an allergic reaction to this product or any of its ingredients. Stop use and ask a doctor if symptoms persist, worsen or if new symptoms occur. Keep out of reach of children. In case of overdose, get medical help or call a Poison Control Center right away. If pregnant or breast feeding, ask a doctor before using product.